A lady who requested for Valentine’s date last week in a viral video has revealed that she has received over 7000 messages from various prospects from across the world. 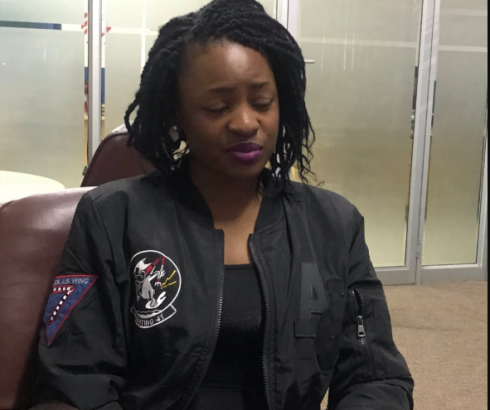 In the viral video clip, the lady identified as Lorraine Guyo from Harare in Zimbabwe, was recorded pleading with men to propose to her before the 14th of February (Valentine’s Day) as she did not want to be single on the day. The beautiful lady who was sacked from her work after the video went viral but was later called back, has opened up on the fiasco. “This is one of the many videos I’ve recorded. It’s just that this one made it’s way to the public but I’ve many of them. I’m very passionate about acting and recording my skits. “I recorded this particular one as a joke for Valentine’s Day. Sadly, there were people who didn’t understand that it was a joke and blew the whole issue out of proportion. As a result of the video that went viral, Lorraine said she received 7 000 messages on her WhatsApp from various people. I hope you are not complaining?...you asked for it, so go ahead and enjoy yourself.